This low-rise, London style of stacked towns is a perfect complement to the surrounding community in the desirable east end. 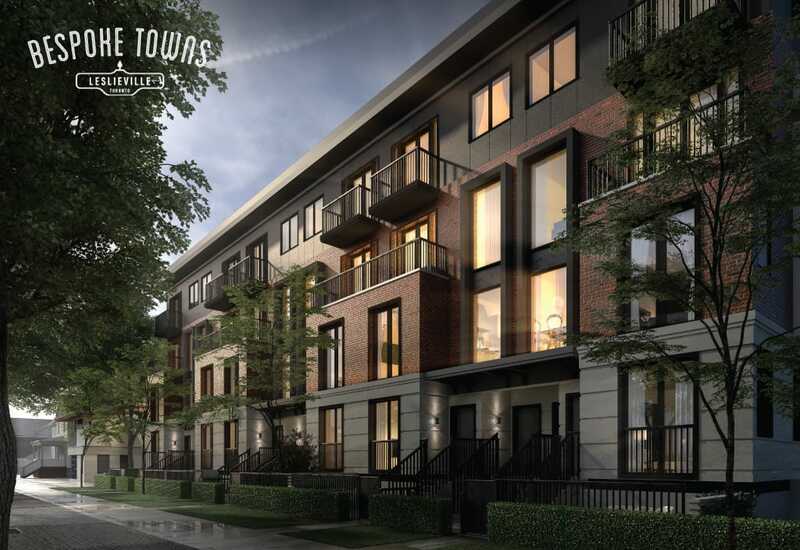 BeSpoke Towns will be located at the corner of Dundas and Coxwell, west to Riverdale and downtown, north to the Indian bazaar, south to Queen East and east to The Beaches. With its vibrant arts scene, trendy restaurants and transit-friendly streets, Leslieville is a destination for residents and visitors alike. 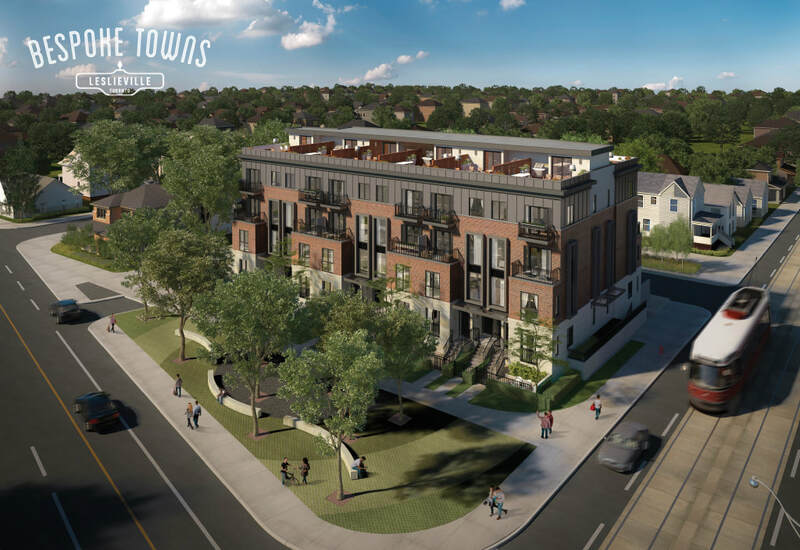 Amenities fill the area with shops, schools, galleries, cafes and green spaces steps away — including a new city park to be built right in front of these towns.